I got my Cram Cream tape yesterday, and must confess that I got a bit disappointed, it had a bit of a used feeling to it. But - it´s Cram Cream, and I love it never the less, especially since it´s the only one I´ve got until xmas, and until my finances have improved and I can order me some. 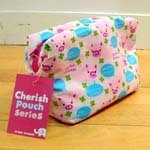 Want deco tapes, tote bags, purses, passport cases, and just about everything else there is. Did I get disappointed yesterday, or what? When I opened the Corpse Bride DVD, it was empty! So now I have to return it and get another copy, and I really wanted to see it NOW. Crap. I made myself a pillowcase from the green/pink asianstyle fabric I got from Tania in Portugal in our swap. Turned out very nice, works well with the pink and green stuff that was already in my livingroom. I have a skirt, in the same pattern as another cushion, but pink and green instead of only green, and I´m thinking of making it into a cushion to, as it´s to small for me. On the other hand, the skirt is so pretty, I have a hard time cutting it up, and tells myself that I will be able to wear it some day. I won´t probably not cut into it for a while, maybe I´ll put up a dead line - fit into it in .... months, or make something out of it. Or maybe not. I don´t know. I got some movies today, Pirates of the Caribbean 2, Ice Age 2 and Corpse Bride, so I´m going home to spend the afternoon in front of the TV. Nice! 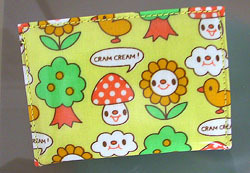 My Cram Cream tape should arrive tomorrow! Now I´ve got an Flickr-account, too. There´s not much there yet, but I did put all of my swap pics there, feel free to take a look! Eventually there will be Cram Cream pics, too, and when I get a camera (whenever that is...) there will be a bunch of pics. I´ve been working on a gift for someone (can´t tell, if she reads this...), I knew she had to have it, the minute I saw it. It´s small, and it´s felt, and that´s as much as I will say about it. I just found out, that I won an auction on Tradera (kind of like eBay), I got some Cram Cream tape for 14 SEK ($2). Sweet! I didn´t want to tell you before, because I wanted to keep my find for myself. Does that make me a bad person? and they turned out great! Scroll down for swap pics, and raggy flower is seen here. Amineko is the base of almost all of my amigurumi´s. Once you know the basic shapes, you can play with them and alter them, and make pretty much whatever you want. 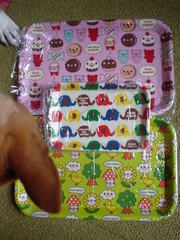 Japanese patterns are good to, since they are not made up of words, but pictures and diagrams. But the English ones are not hard either (if you speak some English of course), and the internet is full of them. Good luck! If you´ve read me for a while, you know me - I get really obsessed about something, and then I get tired and let it go. 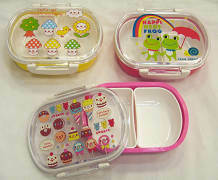 My Cram Cream find a few days ago really got an obsession started, so here´s another post on essence of cuteness - Cram Cream that is. 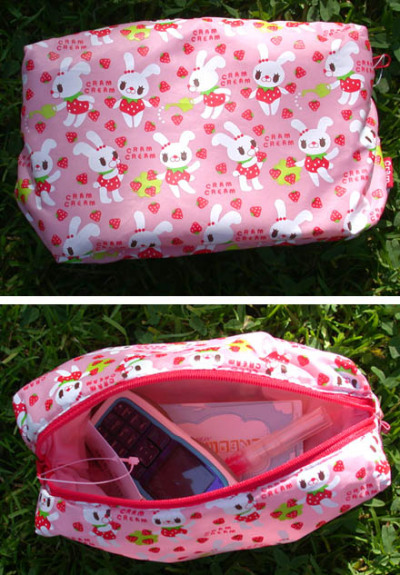 I think that it´s even better than Decole, so that´s really cute! There´s a flickr-group on Cram Cream. There´s a "We love Cram Cream"-community. Actually, there´s a whole lot of people out there loving Cram Cream, I can tell you! 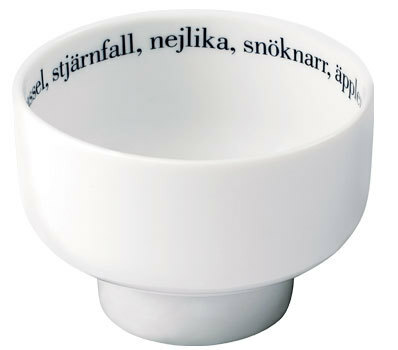 Anyone who knows where to buy the stuff in Sweden (except on Skansen, of course...)? I made a whole bunch of Christmas baubles last night, and they turned out quite nice - I might be able to give them away without being to ashamed! I´ve been working on my niece´s Christmas present, she gets a sheer pink layered skirt, with a matching skirt and a knitted cardigan for her dolls (she´s four, she loves dolls). It looks like it might turn out nice. And today I got the things I´d ordered from Panduro, so I can start making baubles for niece, nephews and friend, who all get some for Christmas. Every year I give the children in the family pretty, kiddish baubles, so some day they will have quite a collection. I´ll just have to change the style as they grow - a 15 year old might not appriciate a car bauble, or a cat, or whatever. Because I work now, more than in a long time, I get in money trouble - strange, huh?! No wonder people turn down work, to collect unimployment compensation (a-kassa, that is). Next month I get more money, this month I might not be able to pay my rent. 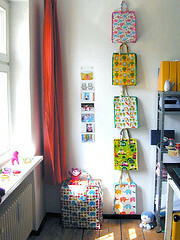 Now I found a blog entirely on recycling clothes and making new ones, Wardrobe refashion ´06. Recycling rules! retired? me? can you believe it?! I´m in such a Xmas mood, and then I discover it´s more than three weeks until the first of Advent. How is that possible - there are all these Christmas magazines and decorations in the stores, you can buy glögg and pepparkakor (ginger cookies). Well, I´ve gotten started, I´ve had my first glögg, Dufvenkroks non-alcoholic vanilla, which was really good, and I´ve had pepparkakor and gorgonzola(type)cheese. If you can´t buy your glögg, try this recipe. Me, I like my glögg white, so try it with white wine or apple cider instead of red wine. Crush the cinnamon and cardamom. Peel the lemon. Put all the spices and peel into a glass jar with the vodka. Cover. Leave overnight. Strain the vodka, discard the spices. Mix the spiced vodka with the wine and sugar. Heat all the ingredients in a large saucepan until steaming hot. Do not boil! Stir and taste. If not sweet enough, add more sugar. If too sweet, add more wine. The words inside are all pretty winter words - I really love these, and I´m so happy I bought them! I re-thought my parents presents, I´m not in the knitting mood. They are getting a calendar, which I make collages in. Hopefully it´ll turn out nice, and hopefully they´ll like it! I got my Chris Isaak Christmas CD, and it was great, exactly my style. It went straight up in my top three, together with Elvis Presley Christmas and Christmas Cocktails. Do we spot a bit of a trend here? Don´t they look pretty, all lined up? I sent for some stuff from Panduro a couple of days ago, things for the Christmas baubles I give to my niece and nephews every year (they will be decoupage this year), and some felt. On Friday I´ll go to Stockholm, to shop a bit for Pei, and perhaps some Xmas presents, or just some xmassy things for me - I´m in the Xmas mood, and can´t wait for December and the 1st of Advent. Decorating time! From Tania in Portugal (if you want to see what I sent her, click here) I got some lovely fabric, in green, green/pink and black/white. I both want to use them, and keep them forever - what´s a girl to do? 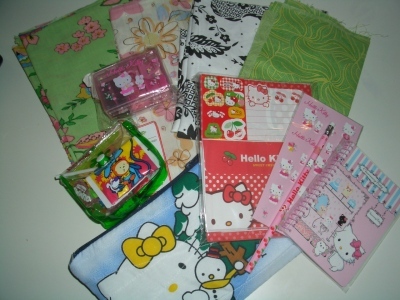 I got some Portugese candy, Hello Kitty-stuff (pencil, stamps, stationary...) and a homemade Hello Kitty pouch that was so perfect. From Pei came quite unexpected a package from Australia/Singapore (so soon!). 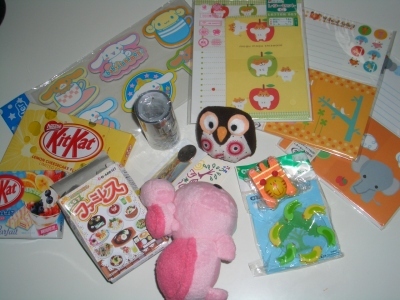 I got some requested candy (limited edition KitKats and FruitRollUps - my new favourite), an owl (part of the owl project), a pink turtle, three kinds of Jap stationary, Cinnamoroll fridge magnets, Hello Kitty tape, Re-ment and more. Thanks a lot, Tania and Pei, you made my day! I got two wonderful packages this weekend, from Tania in Portugal and from Pei In Australia (now in Singapore), I will tell you all about it later. I got the books I were waiting for too, and remember what I said, that vintage and accessories never could be wrong? Well, I was wrong, the book was not at all what I expected, and I´ll be returning it. I got the S´n´B 2007 Calendar too, and I must admit that I was afraid that my socks wouldn´t be good enough to publish. Now that I saw what they published this year, my worries are all gone - my socks are definately good enough, and a lot better than some of the patterns in the calendar. No time for blogging or anything fun today - got a school assignment I´ve got to finish. Will post swap pics later today. Hope for my books to arrive, the snow yesterday delayed the package. Hope a package from Tania waits when I get home - it sounds very promising! I´m sure there´s at least one angel out there, and she lives in Japan. Thanks Jenn, for the absolutely amazing package I got today! 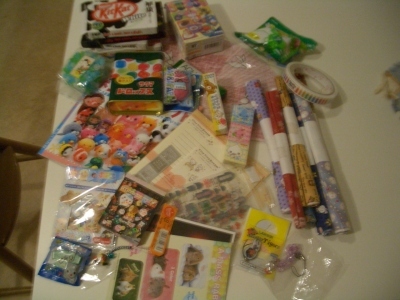 A big package filled to the brim with Japanese kawaii, and I love every single thing! There were re-ment, so pretty stationary (perhaps the best thing of all), four kinds of KitKats (I really wanted to try the Bitter, and now I got it - yay! 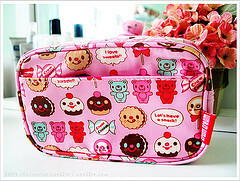 ), fabric samples (love the rabbit ones), candy, assorted cute stuff, and much more. I loved it! And it didn´t in any way make my crush on Japan any less huge! Thanks Jenn, you saved my day! I´ve got me some treats at the post today, both books and a package from Jenn in Japan. Yay! Feels like a ray of sunshine in a cold, snowy day. Yes, we´ve got snow, just a little, but it´s the first snow this year. I love first snow, I love snow until New Year´s, then I want spring. Unfortunately, spring doesn´t happen until March or April, so there´s a bit of suffering going on for a few months. I sent for a new CD, just in time for December and Christmas, I love Chris Isaak, so when I found a Christmas-CD with him, I went for it. I hope it´s as lovely as he usually is.